Adding videos to your flipbooks has never been easier. We're aware that using videos in your publication attracts and keeps your readers engaged in a way which is clearly simple yet very powerful, so we bring you a new feature which you might enjoy just as much as we do. 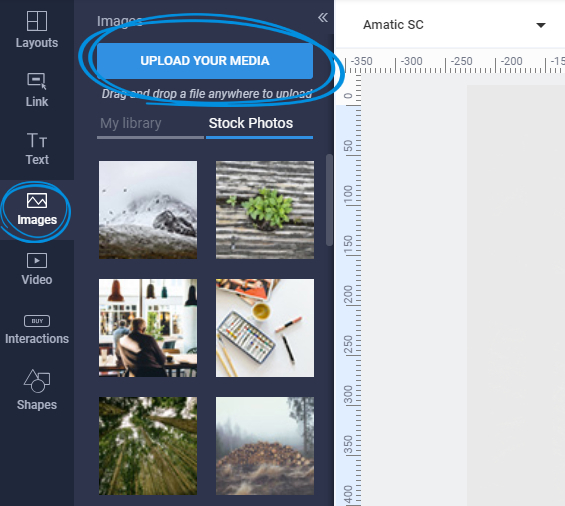 Now, with our Enterprise plans, you can upload videos directly from your device in our Editor. It is as simple as it gets. 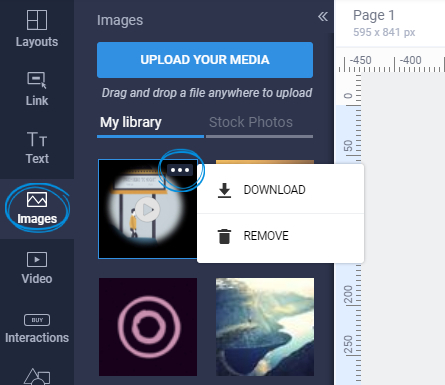 In order to upload a video, enter the flipbook in your editor, then click on the Images tab and click on Upload your media. An overlay will open where you can search and select the video file you want to upload. After the file is completely uploaded, you can drag and drop the video player on your page then publish the flipbook. Your readers will be able to play the video on the page they are currently viewing. Click here to see the Upload video feature in action. Important: Please keep in mind that the videos can only be uploaded in a MP4 format and the maximum size accepted is 1 GB. If you want to remove the media files you uploaded (images and videos) in your Flipsnack library or download them, here's how you can do that. Simply click on the Images tab on the left side of the editor, hover your mouse over the image or video you want to download or delete then click on the 3 dots icon in the upper-right corner of the thumbnail and select the desired action. We hope you'll find these features as useful as we do!